Home / Books / Moose Safety in Alaska: Don’t Pet the Moose. Moose Safety in Alaska: Don’t Pet the Moose. I stepped out of my apartment door on the ground level and my breath misted as I bent down to pick up the Sunday paper. I stood up and about ten feet away from me was a moose. “Good morning, Mr. Moose,” I said and backed slowly into the apartment closing the door. A lot of people are under the misconception that bears are the most dangerous animal in Alaska. The thing is bears are predictable. You can predict what a bear is going to do based on the circumstances. If you’re running, the bear will chase you; it’s predatory instinct. If a black bear attacks, it’s intending to eat you. If a grizzly attacks, it’s most likely protecting something, usually cubs, sometimes food or territory. Bears mostly avoid people, so as long as you don’t surprise them, you can keep yourself safe – for the most part. Moose, on the other hand, are unpredictable. Moose are huge, so they don’t perceive threats the same way we would. In fact, it often seems that moose are unaware of people. Tourists will pet them on the nose, and nothing will happen. These tourists are stupid. 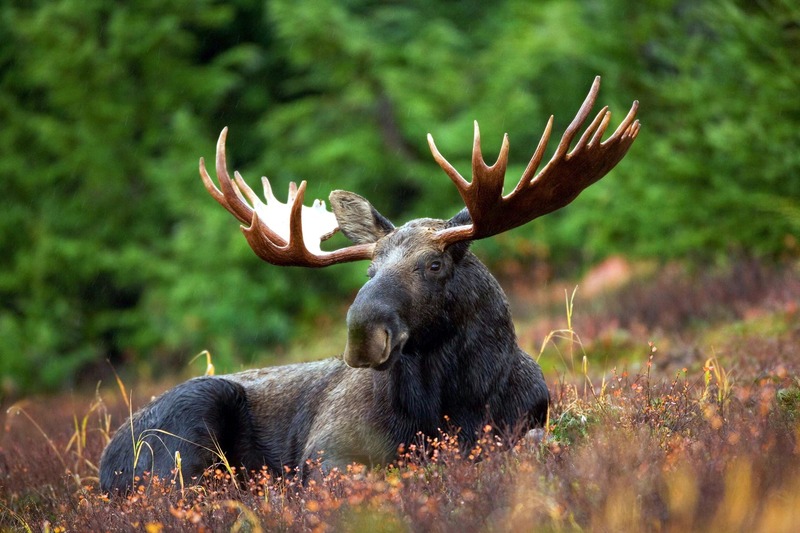 A moose may not perceive a threat when a person approaches. It may not perceive a threat when the person reaches his or her hand out to touch the moose. It may not even perceive a threat when the person touches it. When the person turns his or her back, the moose could perceive a threat and attack. A moose can kick a wolf dead. So, while they look like big, dumb cows, they are the most dangerous animal in Alaska. Protecting yourself from moose means just staying away from them. Even if they just get startled and trample you, they can cause serious injuries. Moose are wild animals and not meant to be petted. Admire their magnificence from afar, but if you see a couple of moose on a trail turn around and go back the way you came. Moose are docile until the moment they are not, and no one can say when that moment is. When you go to Alaska, you don’t have to worry about protecting yourself from penguins. There are no penguins in Alaska. I wrote the book on it; available for preorder at Amazon.com as an eBookor as a coloring book on penguinate.com. Preorder yours today.